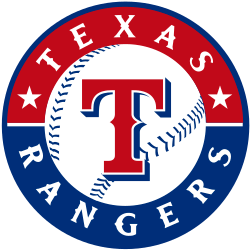 BACK IN THE SADDLE ……… RANGERS WIN GAME 3.
better at home record this past season than the Giants, who also have a great and vocal fan base, but the Rangers also have a stadium capacity of almost 10,000 more than the Giants. 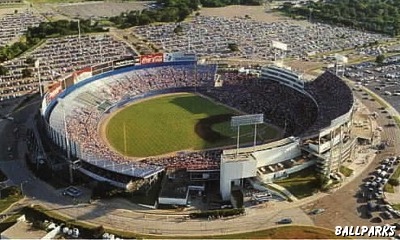 Okay, okay, sure the players have something to do with this, but I’m just saying, the fans are the backbone of baseball. That’s where the money comes from folks! And it’s not just the fans that love their teams, the teams love them right back and show their appreciation by …… winning! Just like the Texas Rangers did back home on the range and back in the saddle. Home sweet home! TEXAS CAIN-SAW MASSACRE ~ GAME 2.
pondering why Manager Ron Washington left him in so long. 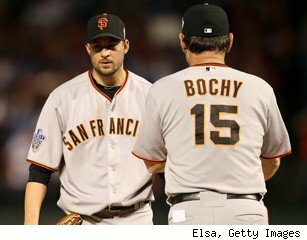 Bochy would have had him out after the first run. The fact is they’re a much better team than what they showed last night and everyone knows it. We’ve all been there with really bad games you just want to forget and get past and move on to the next. 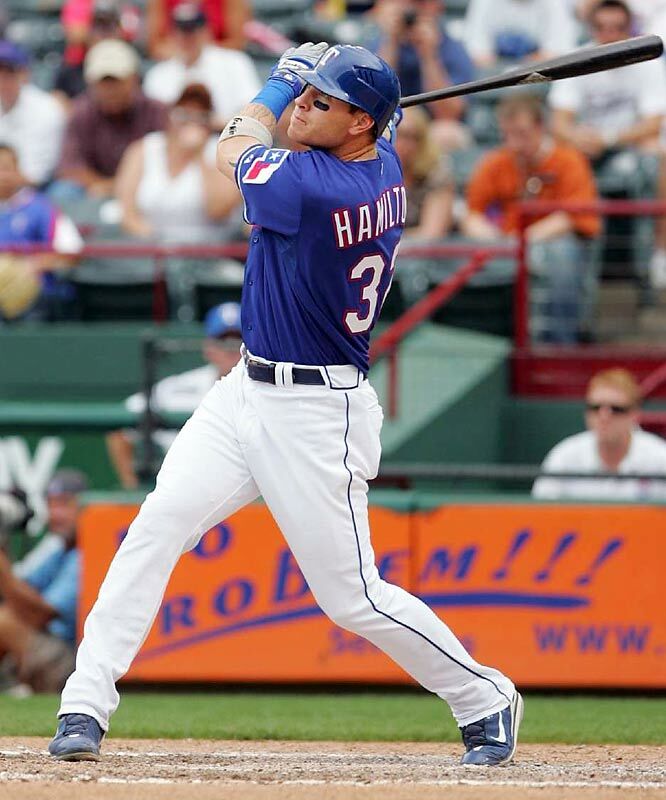 But as the Rangers’ Josh Hamilton explained after the game, “Obviously they (Giants) have the momentum right now, but it sort of felt that way even before the first game started”. Next game will be at the Texas Rangers table with fan support behind them and I’m thinking it’s gonna be one of those low scoring, close games again. 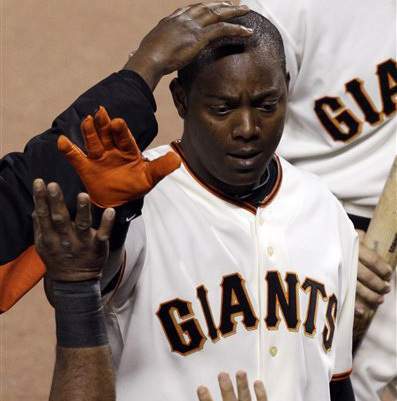 That’s what the SF Giants are used to. And besides, Halloween’will be here and gone soon and things can get back to normal. “TEXAS CAN’T HOLD EM” ~ Game 1. Rangers and Pundits Lose! The thing that puzzles me about the Giants getting absolutely no respect before the game, and still now, even after the game, is the way they made it to the World Series in the first place. This is a team of self-proclaimed misfits and oddballs, picked up from the trash heaps of other teams, a couple of rookies, and one helluva pitching staff. In August, this team was 6 1/2 games behind in the NL West, but they scratched and clawed and fought off not only the San Diego Padres, but also a very good Colorado Rockies team to prevail. They willed their way to the NL West Championship. They were the underdog as they advanced to the NLDS against Atlanta, under the leadership of Bobby Cox, destined to extend his career a few more games. 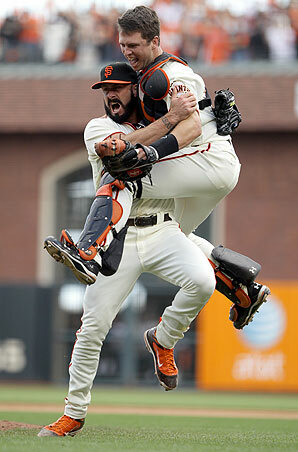 But, once again, against the odds, the Giants won the National League Division Series against Atlanta! So now the pundits had a ball! I mean now the Giants had to face the Philadelphia Phillies, defending National League Champions, two years in a row, and World Series Champions only a year ago! Their ace, Roy Halladay, as good as it gets, pitched a “no hitter” against the Cincinnati Reds, enroute to the NLDS this year, and the Reds were no pansies. To solidify the belief, earlier in the year Halladay had thrown a perfect game! And it wasn’t just Halladay, they also had to face Roy Oswalt, a fastball pitcher who the Phillies acquired from Houston specifically for this reason, to dominate in the playoffs. Again, Phillies fans lost a lot of money through their bookies over this series. 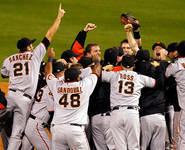 Giants beat the Philadelphia Phillies and won the National League Pennant in 6. So what’s it going to take? Headlines all over the country projected the Texas Rangers to win the World Series. Everywhere except in the San Francisco Bay Area. Even the Los Angeles papers ….. (whoops forget it, that’s Dodger country, doesn’t count! 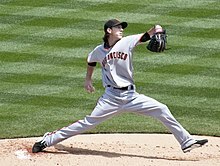 i.e., LA Times article today by “Bill Shaikin ~ San Francisco takes advantage of a less-than-sharp effort by the highly regarded left-hander on a night when Tim Lincecum is not exactly crisp.”) Cracks me up, but you know what? He’s right! And that’s baseball folks! And you know what else? 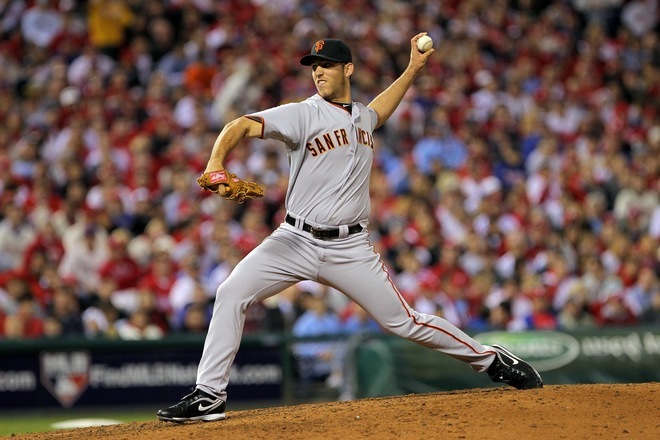 The SF Giants may NOT win the World Series. But if they do, it will be because they WILLED it, and not because of anything the Rangers and pundits have to say. Baseball, don’t you just love it? SF Giants and a wannabe Rodeo Clown ~ Going to the Ship! 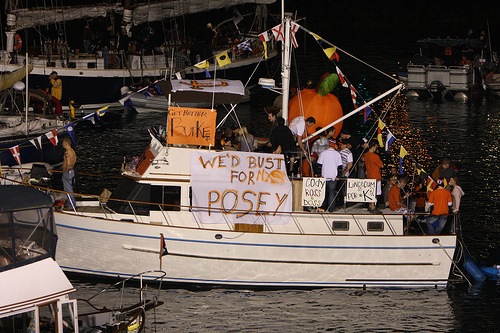 The “Ship” is short for Championship as Sergio Romo explained to us diehard fans after last night’s game. I stayed up for hours watching the late night commentaries on all the sports channels. Just couldn’t get enough! Duane Kuiper, our local television and radio commentator of team Mike Krukow and Duane Kuiper, coined the phrase mid-season “Giants Games ~ Torture!” and boy did it stick! Whew! The statistics for their one run games pretty much explains it all. I seriously considered not watching the bottom of the 9th last night! Instead I chose to leave the room with my radio and headphones and sit in a corner overcome by a huge anxiety attack! This was fun! Fun, like getting your finger stuck in a light socket, or pulling your toenails out one at a time. Nothing comes easy for Giants fans. Is that why we love these guys so much? Endurance? All I can say is I’ve been a Giants fan for many, many years and I can never remember a team of players quite like this group. Misfits? Probably. Oddballs? Oh sure. Endearing? Absolutely! They have so many tags this year, it’s hard to know where to start. Black beards in the bullpen, Aubrey Huff’s red thong for good luck, Cody Ross, the wannabe Rodeo Clown, Timmy Lincecum’s long black hair flowing out from his cap, and his minor infraction this summer with the law, Barry Zito, most expensive paid cheerleader in history, sitting on the bench through the entire playoffs with his $18,000,000 Annual Salary, supporting his teammates. But along with the idiosyncracies the Giants organization weaned a couple of rookies off their farm program this year and what a couple of rookies they turned out to be. I don’t know what they’re feeding and teaching the kids down in the Fresno area, but boy does it work! Rookies Buster Posey and Madison Bumgarner both played key roles throughout the season after being called up this Spring, but also contributed immensely in the postseason . It gave me a huge thrill to watch the two of them, Bumgarner the Pitcher and Posey the Catcher,a couple of kids performing in postseason in the 6th Game of the NLCS against the current champion Philadelphia Phillies, doing their job like the young pro’s they are. My guess is they’ll be around for many years and, Lord willing, in San Francisco. Well for whatever reason, the chemistry works for both the players and the fans, and the fans aren’t going away anytime soon! 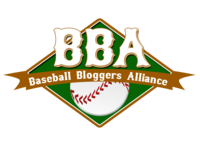 about Alcatraz while missing pitches and activity at the bases. But you know what really bugged me? 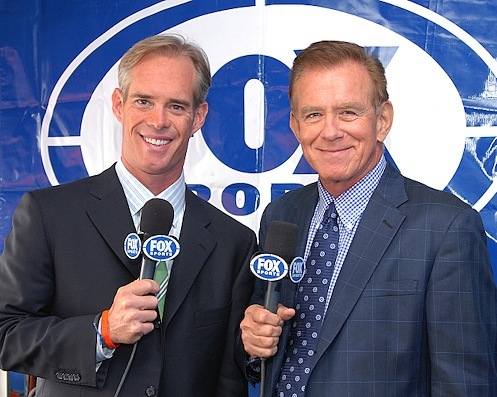 In Game 6 the Buck & McCarver had a mindless conversation about how Buster Posey would never make it as a catcher, and probably would be more suited to “leftfield”. 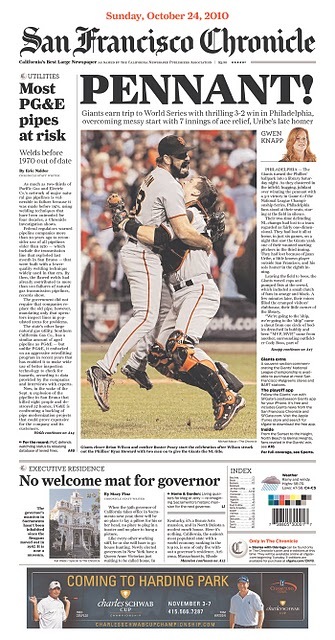 (Note: See Johnny Bench’s comments regarding Buster Posey as a catcher http://www.mercurynews.com/giants/ci_16344094?nclick_check=1 ). Probably the hardest part to sit through with these guys was that final out. Whew, might as well have been teatime ~ thank God for my Walkman! 1These guys musta had a lot of money bet on the Phillies. How else can you explain the complete ambivalence towards the Giants? And, good grief, we get to listen to them for the World Series? (Gotta remember to get batteries for the Walkman.) Where do they get these guys? Wherever it is, I wish they’d send them back! We want our own announcers in the broadcast booth, doing what they do best. Mike Krukow and Duane Kuiper, true professionals, and I truly missed them during the entire playoff season! For what it’s worth! And so, in spite of the odds, the San Francisco Giants, with beards, thongs and a wannabe Rodeo Clown are going to the World Series to meet their worthy opponents, the formidable Texas Rangers, under the ownership of one of baseball’s greatest, Nolan Ryan. Best of luck to both teams! This is gonna be fun! See y’all on Wednesday! Texas Rangers ALCS Champions! No Tea Party here folks! Manager Ron Washington said basically the same thing, acknowledging this was the best group of players he’s ever worked with. 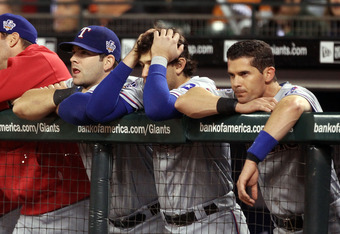 The Texas Rangers chemistry among each other seems to be contagious. Most would agree that the players on any team have to get along with each other, maybe not “like” each other but for sure they have to get along. Sometimes that promotes a winning team and sometimes not, but for sure these guys seem to really and truly “like” each other. This is evident in all the clubhouse interviews, on the field rapport, and articles written throughout this year. I don’t know very much about the Texas Rangers, but I have to be honest here, you can’t help but like these guys, each and every one of them! I decided not to write about all the great plays and statistics from this series. They were impressive and you can read all about them in the “Related Articles” below. But if you read my earlier blog about the Yankees and their tea party mentality, you gotta love these guys. This is the first time in their history they’ve won a Pennant and it does my heart good to see a bunch of guys whooping and hollering and jumping around like they really, really appreciate being here. Whatta series and what an accomplishment! 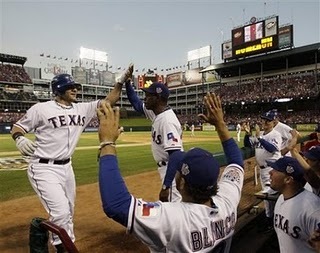 Great win for the Texas Rangers. They deserve it! Bobby Cox Going on a Cruise! …….. A Player’s Manager Retires. I never knew much about Bobby Cox. Oh sure, I heard a lot about him through the years. After all he’s been managing the Braves since 1986 and it seems his name was always out there, usually for arguing with the umps or being ejected from a game, not necessarily what you want to be known for. But during this last playoff series and especially during his last interview, I was struck by one comment he made. It referred to a controversial call by an umpire at 2nd base. The play was a head-first slide by Giants’ Buster Posey into 2nd and a safe call by the ump. Replay shows Posey was clearly out, and it ended up being a deciding factor in the 1 run win by the Giants over Atlanta and eventually eliminated Atlanta from the series, ending Cox’s career. Yet Bobby Cox didn’t utter a peep! Why? On August 14, 2010, Bobby Cox broke the MLB ejections record with 131 career ejections. He’s a player’s manager. Just getting ejected certainly doesn’t make one great, but when Bobby Cox got ejected he was doing it for the right reason. He wasn’t just arguing a call to get the ump to change his mind, or to grandstand, or slow up the game. He was always arguing in defense of his players. Always! He was out there every game defending his players, trying to even up the playing field making sure the other team wasn’t getting an unfair advantage. When he felt his players had been treated unfairly by a call, he never, ever backed down. That is his legacy. In an interview after this last game Cox was asked about that call at 2nd base. He was told the replay clearly showed the runner was out and was asked why he didn’t challenge the call. After all, his career and reputation was built on challenging umpire calls these past 32 years. His response surprised me. The reason he didn’t challenge the call was simple. He was watching his 2nd baseman and outfielders and they showed no reaction. Had any of them reacted as though they thought the runner was out, he would have been out on that field immediately in protest of the call. Cox said it’s impossible to see what’s going on from the manager’s viewpoint so he’s always trusted his player’s reactions on how the play should have been called. That’ s how he managed his entire career and his players loved him for it. Of course, some players could easily have taken advantage of Bobby’s trust in them and I’m sure they did, but they always knew he had their back and that’s how loyalties are made. I could write pages and pages about the career of this man. 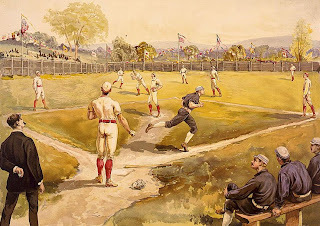 It might surprise you that he only played in the major leagues for two years, as a 3rd baseman for the New York Yankees. And did you know he ranks 4th on the Baseball All-time Managerial “Wins” list? It goes on and on. Check out the Related Articles below. They’ll keep you reading for days. The team got together and gave Bobby and his wife a going away gift. It’s a cruise and they’re leaving next April! April? That’s the beginning of another baseball season! You don’t retire from baseball. No one retires from baseball. 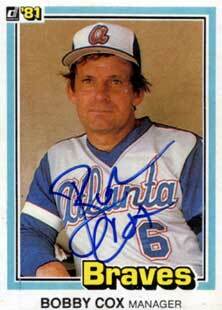 Welcome to Baseball Fandom Bobby Cox. The only thing that’s changed is the players!